Neukirchen is part of the city Lichtenfels and located in the northwestern part of the Waldecker Land and west of the Edersee adventure region. The town is situated on a hill with a stunning view of the surroundings. You'll find a beautiful landscape of forests, mountains, a few lakes and enchanting valleys. An ideal location for a quiet and relaxing holiday in the midst of nature. 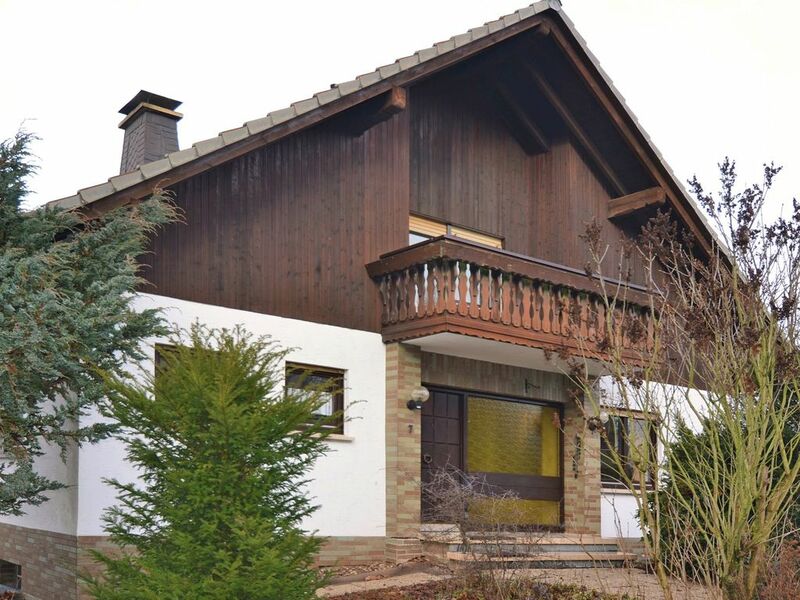 You will spend your well-deserved holiday here in this beautiful, detached holiday home. The house is completely furnished and its 200 sqm living space offers plenty of room. Spend cosy hours in front of the wood stove in the living room. The house has a fully equipped kitchen as well as a lovely conservatory. The large garden with garden furniture and a covered terrace is available for your personal use. Hikes and cycling tours on kilometres of marked trails that lead to the directly adjacent Sauerland region are highly recommended. The town and region offer you various sports and leisure activities year-round. Popular excursion destinations: Edersee with water sports, the Hanseatic City Korbach, Frankenberg with its lovely half-timbered houses, Bad Wildungen with its old town or the well-known winter sports resort Willingen. Woning is ruim en net met leuke indeling. Eetkamers en bar om het gezellig te maken, ruime slaapkamers. We hebben een leuke tijd gehad. Tolles großes Haus mit schönem Blick, alles vorhanden, sehr sauber. Die Unterkunft befindet sich am Rande eines Dorfes. Es handelt sich um ein freisthendes 2-Familienhaus welches jedoch zu einer gemeinsamen Wohnung umgebaut worden ist. Dementsprechend groß ist das Platzangebot. Besonders schön fanden wir den großen, beheizten Wintergarten mit einer schönen Aussicht. Ruim, mooie ruimtes, fantastisch uitzicht, en schoon!